lmao...she had some WACK 50 states ones..
and weird ones w/ centaurs on them..wtf is that about? its 5 am im gone. lmao. Dang, I remember those. I threw away all of mine years ago. LMAO! @ Pogs, that's throwback. excuse my mam, WHAT are POGS??? See I'm not the only one who doesnt know what pogs are lmao. I'm on my BB I can't look at that video right now to educate myself. man, i use to splurge all my $$ on that when a i was a kid... thanks for bringing me back! omg, I was just taling to my boy about these & jacks. OH MY GOSH!! 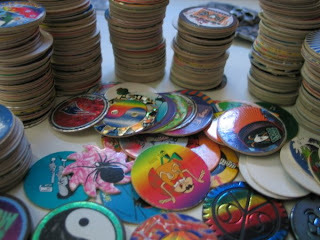 I SSOOO FORGOT ABOUT POGS! OMG, HAHA. Yeah, you're the truth. -wink- Good stuff. Good blog.